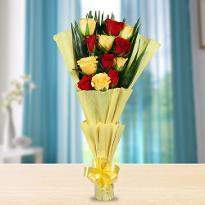 Flowers are apt for all occasion be it birthday, anniversary, marriage or any other special day. What could be a better gift when you can send to your loved ones on their special days. The essence and the natural beauty of flowers can brighten up any atmosphere and infuse happiness wherever they are presented. We at Winni, have an extensive range of flower arrangement options consisting rose basket, bouquets, heart-shaped arrangements and many more are available. We provide perfect flowers for you which we can even deliver for the same day to the doorstep of your near and dear ones. So, go ahead and book flowers now and get it delivered in Srikakulam. Occasion is the right time to fill up the atmosphere with immense joy and happiness. Flowers have the magical power to fill the surrounding with optimism and cheerfulness. Whether it’s the birthday celebration, anniversary celebration or any other occasion, the fresh and fragrant flowers can enhance the happiness of the celebration. Order flowers online in Srikakulam and get express flower delivery at your doorstep. Flowers are considered to be the right gift and hence if you are looking for a gift that can brighten up the day of your loved ones, then order flowers online in Srikakulam and send to your loved ones on their special days. 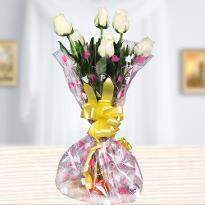 We at Winni ensure that the flowers reach their intended receiver while they are fresh and scented. Our motive is to deliver brilliant quality, value and services, with shipping being no deviation. Winni offers a plethora range of online flowers in Srikakulam in distinct arrangements. So, if you are looking for extremely gorgeous flowers, then explore our flower category and select the right bouquet. 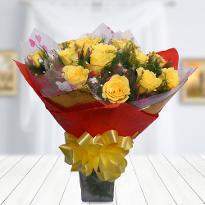 Order and send flowers online and get it delivered without any hassle. Being the most gorgeous creation of nature, flowers can work wonders in all the occasions. Whether you are looking for roses, carnations, gerberas, orchids or daisies, at Winni you will find all varieties of flowers and that too in distinct arrangements. So, what are you waiting for? 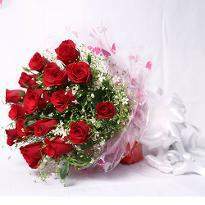 Go ahead and order flowers online and get it delivered without any delay. 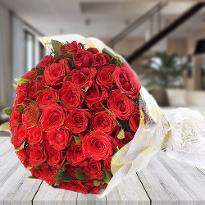 The most gorgeous and appealing flowers are red roses and work for every relationship. Send a gorgeous bouquet of red roses to your special someone and tell them how much you care for them. To add a surprising factor, you can prefer online midnight flower delivery in Srikakulam service for sending a stunning bouquet of red roses and just leave your special someone spellbound. If you are looking for a way to express your deepest emotions to your beloved, then take the assistance of online flowers and let the blooming flowers showcase your feelings. 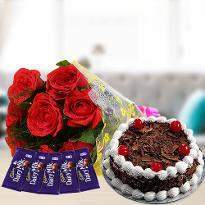 If it’s the birthday of your loved one, you can also order birthday flowers and send to Srikakulam and get them delivered using our online flower delivery service in Srikakulam. Our flowers are always delivered in a fresh and blooming form. So, if you are worried about whether flowers will be fresh or not, then leave your all worries behind as we will deliver your flowers in fresh, aromatic and blooming form. So, what are you waiting for? 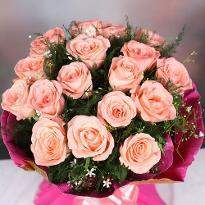 Simply go ahead and explore Winni and get the best flowers for your loved one from here. Products in this category have been rated 4.9 out of 5 based on 485 reviews.